Can’t sleep? Here are 8 tips favoring natural approaches to getting sleep. 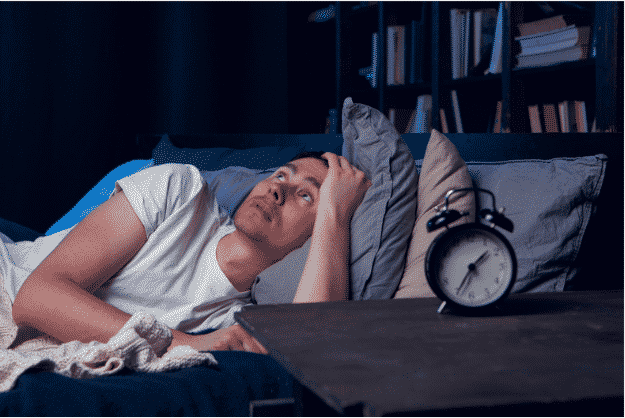 Americans are chronically sleep deprived, with about 35 percent of the population getting less than the generally accepted seven hours of sleep a night. Many people struggling to sleep at night suffer from chronic insomnia, which is the inability to fall asleep. This disorder has severe negative health effects and is linked to everything from heart disease to diabetes. Ambien is one of the most popular medications for treating insomnia. Ambien works well for treating insomnia in some patients but brings with it a host of risks and side effects, including the possibility of addiction. That is why understanding options for treating sleep disorders should include a discussion of alternatives to Ambien. Instead of lying in bed frustrated, try reading or listening to soothing music or sounds to take your mind off worrying about sleeping. Get yourself into a sleep routine that includes relaxing before bedtime. The routine could include a warm bath or a non-caffeinated tea, but the key is to try to fall into a pattern for better sleep hygiene. Avoid alcohol or caffeine late in the day. While alcohol may make you sleepy at first, when it wears off, you may have trouble falling back asleep. Turn off your digital devices well before bedtime to improve your sleep patterns. Studies show that your smartphone decreases your ability to fall asleep quickly and also lessens the quality of your sleep throughout the night. Try relaxation exercises before bed, such as yoga poses, deep mindful breathing or meditation. Make your bedroom a safe, comfortable environment for sleeping. Your room should be fully dark and not too hot or too cold. Wearing an eye mask or earplugs may help. Avoid eating a heavy meal later in the evening, which could cause your body to work overtime digesting it when, instead, it should be relaxing its way to sleep. Trying cognitive behavioral therapy to address issues like depression or anxiety that might be keeping you up at night. Ambien isn’t the only solution to eliminating long, sleepless nights. It is important to keep in mind that Ambien has its place for chronic insomnia. It is also vital to recognize that all medications have side effects, including the possibility of addiction. Always consult with your doctor before beginning or stopping taking medication. If you feel that you may have developed a substance use disorder involving Ambien, help is available. Contact The Recovery Village Ridgefield to speak with a representative about your treatment options.